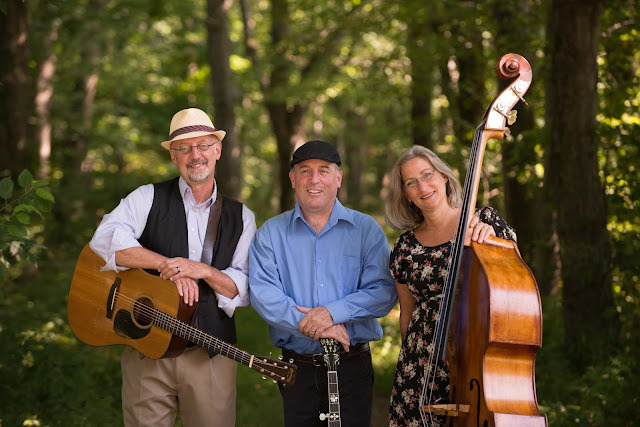 Coal County Express is an accomplished bluegrass trio based in northeastern Pennsylvania′s coal region. The band consists of Pat McGeehan (banjo and guitar), Dave Lucas (guitar and dobro), and Jillian Lucas (upright bass). CCE mixes traditional bluegrass with grassed-up versions of folk, country, and classic rock, with all three members providing lead and harmony vocals. © 2016 CCE. Simple theme. Theme images by andynwt. Powered by Blogger.